An entryway bench is totally essential furniture for every home. 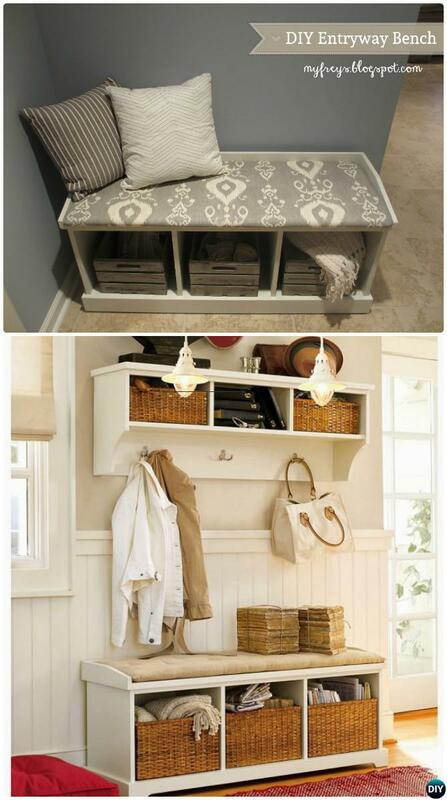 It gives you a place to sit and put on your shoes, some entryway bench can also help solve the clutter problem by providing extra storage for shoes, bags and outwear. 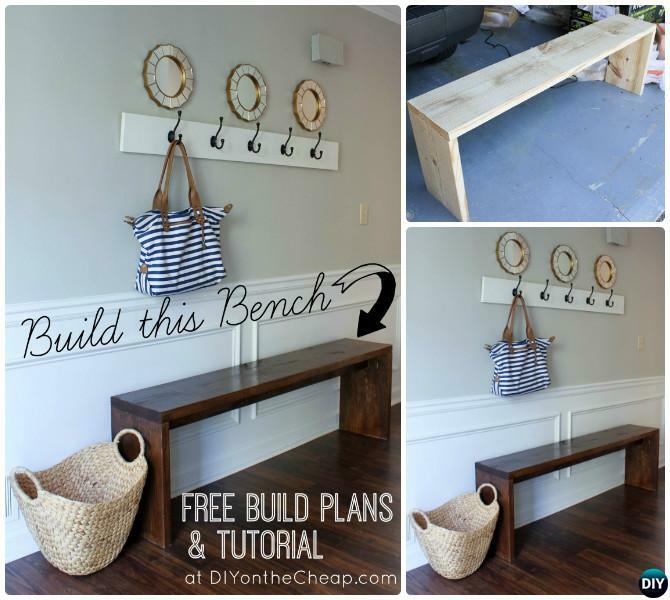 You can buy entryway bench directly, but if you don’t want to break your bank and spend long time to find the exact bench to fit your home, DIY Entryway bench is the best things you can do. You can customize the length and height of your bench to your exact needs! 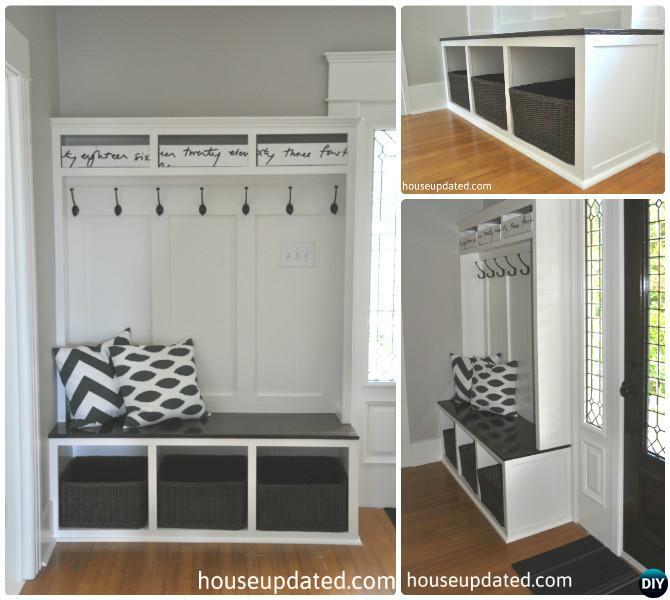 Whether you have a dedicated mudroom or just a little open space, this collection of 20 Entryway Bench DIY Ideas and Projects Our Home Furniture Channel here will not only make your entryway look wonderful, but also increase your storage capacity there. This wood entryway bench is one of the simplest bench for beginners to craft, it requires little carpentry skills. All you need to work out the project is wooden board segments, several screws, paint or stain, and a topcoat. 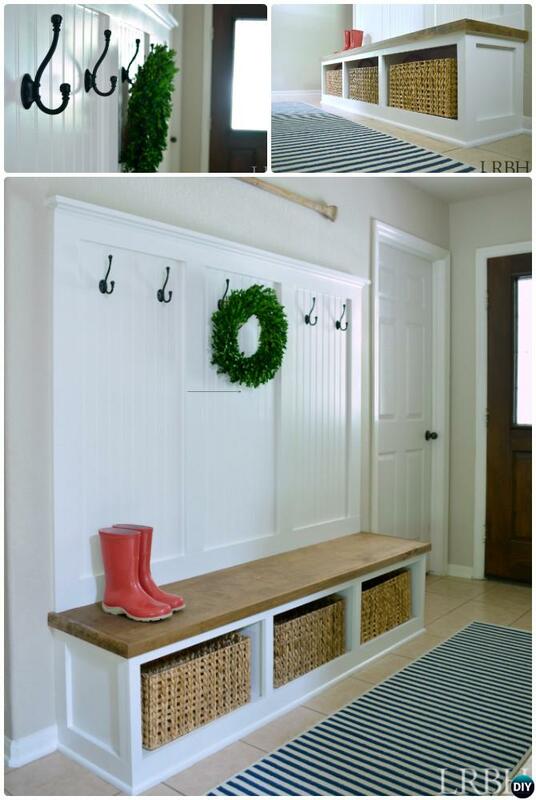 Easy to DIY and go magically well with small as well as large entryways. Making your own cozy spot to sit with this wooden entryway bench, topped with handmade cushion, providing extra storage with cute cubby basket underneath. Create a twist of traditional entryway bench by integrating hooks and cubbies both above and below the structure, perfect for great coat and hat, shoe storage, and seating. Same as above, this comfortable entryway seating mudroom with built-in spots to keep all your hats, coats, bags, and accessories well-organized, while having enough room to store shoes below. 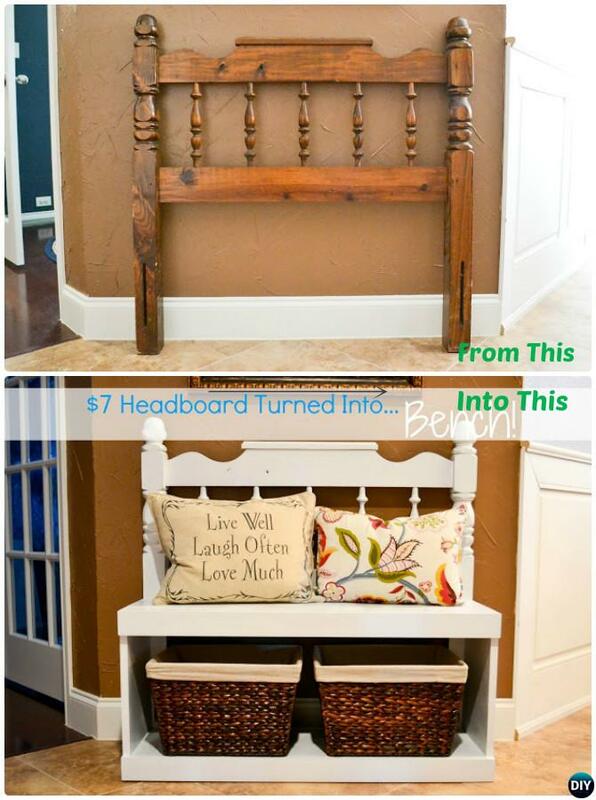 It’s not new to turn a headboard into a bench, but this smart way to attach a regular wooden bench to a twin size headboard make your whole woodwork easy. Throwing off some cushions on top, and storing a few baskets at the bottom, you will have an unconventional Entryway Bench with comfy seats and storage below. 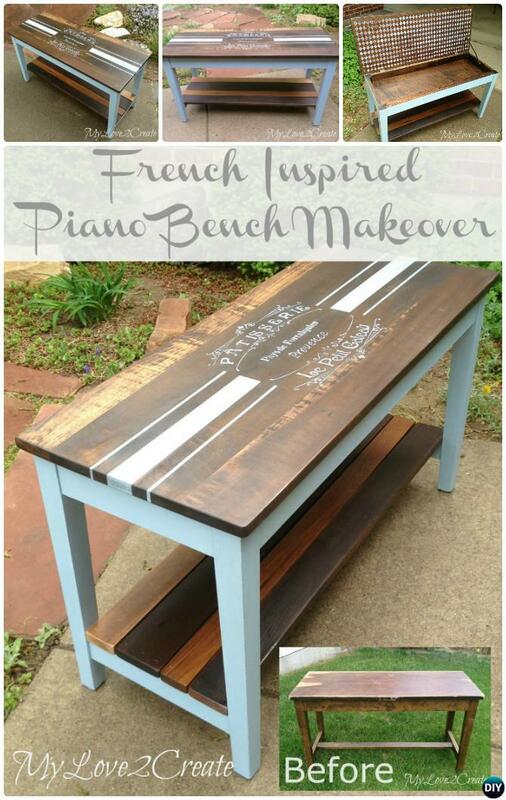 This French Inspired Piano Bench Makeover can spruce up the looks of your entire entryway, no matter whether you use it to store your entryway items and shoes, or simply keep it in the hall as a decorative bench.